I'm proud to announce the launch of the 4th expansion for Drop Shock ... Combat Drop! Work on this expansion began by looking over all past additions to the game. Battle Tactics was a relatively simple expansion that filled-in holes in the game's feature and unit set. By contrast, X-Project and Shadow Wars introduced more complicated features which drastically changed the course of gameplay. In designing Combat Drop, my goal was to create an expansion which looked at current gameplay and attempted to introduce features which either improved how the game is currently played (without significantly changing current gameplay), or provided much desired improvements which were balanced with a new game dynamics. - The Scrapyard is a salvage focused Meka with strong defensive capabilities. When Activated, it's capable of salvaging on-the-move, has a Shield overcharger to allow it to survive intense firefights and can do sector-wide damage to soften-up targets or destroy weak units en-masse. - The Static Jammer is an Elite Commander Meka built around denying enemy Commands. The Meka itself is immune to enemy Commands and can also prevent enemies from issuing Commands to all units in a sector or square. 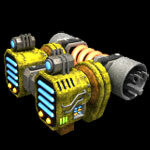 The Static Jammer can also draw all enemy fire to itself while boosting its defenses to absorb attacks. - The Hiveminder packs three new Obliteration Cannons, each with a maximum range of 6, making it one of the deadliest units in the expansion. The Hiveminder's abilities revolve around three different drones, Offensive, Defensive and Support. The Hiveminder can deploy with these drones or it can deploy them itself. Each drone improves the Hiveminder by increasing damage, shield recharge or damage absorption. 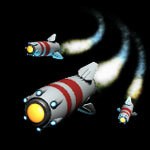 - Cluster Missiles provide two things every missile user is hoping for: Range & Damage. The trade-off for these improvements is that they can cause the weapons they modify to re-target to other enemies from time to time. - The Argus Energy Adaptor is one of several energy improvements in this expansion. The Argus removes two recharge from a weapon at the cost of some damage and range. This mod also comes with a built-in Acti which increases damage by 25% for one turn. - The Dropship Pad is implements a long-requested feature. Using this building you can now deploy additional forces to a planet. To balance this, units deployed via a Dropship Pad still suffer from Drop Shock and a pad can only be used once per turn. - The Point Defense System is a counter to the current base-overruning strategy employed by many factions. This building deals unavoidable, unreducable damage to all enemy units in the same sector as the base. 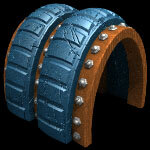 - The Shield Generator is a building which will absorb attacks targeting units in the same square. This type of shielding can also be found on the new Aegis Meka so base attackers will be able to counter this advance with their own new technology. All-in-all I'm thrilled to see this new expansion launched. To help you test out new units, mods and buildings I've created a large Arena which will be active for the next week. This will be a safe environment to test out new weapons and tactics. There may still be a few issues to iron out, so please post any problems you encounter to the Bugs area of the forum. Image Pack users can download the new additions they'll need here. - Activated Nightstalker's 2 Gunnery Level to-hit bonus for all units in-sector while not moving has been changed to a 1 Gunnery Level bonus which is active at all times. - Necromancer's Hostile Ice Acti now gives +4 Controlled Speed. - Energy weapons added to Necromancer now give Shield leech with no damage reduction. - Behemoth gained Hull Down Acti - Unit cannot move for 1 turn, Damage reduced to 25%. - Ballistic weapons added to the Howitzer Meka do +5 Damage and the Howitzer receives +2 Gunnery Levels to-hit if it did not move last turn. - Ballistic weapons added to the Howitzer II Meka do +2 Damage and gain +1 Range. - The Witman X-variant now gives +2 Gunnery Levels to-hit to all faction units in the same sector, if it did not move last turn and gains Cloak Speed:0. - The Grunt now has a Charged Overload Acti (6 Activations): All attacks do 120% damage this turn, no cool-down. - Some Sha'Kahr are now deadlier. - Integrated Mods can now be removed with a Simple Power-up. Having received reports regarding recent fighting in your area we are rushing to equip and resupply you as quickly as possible. Note that recent advancements in technology will allow us to refit your forces in a more efficient manner than previously allowed. Stand-by on this channel for additional instructions. We are in-bound to your position, weapons are hot ... prepare for Combat Drop. In preparation for the expansion, the Headquarters -> Construx panel has been re-worked. You can now filter by type (Unit, Mod, Building) complexity (Simple, Intermediate, Advanced, Elite) and Expansion (including future expansions). Your last filter is saved if you leave the page and return later. You can also open 1, 5 or 10 construx packs at once; construx filtering is removed when opening construx packs. Ore deposits color now change based on the amount of Ore they contain. Deposits with 500 or less ore are yellow, 1,000 or less ore are red, 1,500 or less ore are green and deposits containing 1,500 or more ore are now purple (a planet may need to completely orbit before these colors are correctly displayed). This change also modifies the Mining Surveyor Acti, this Mod now increases the amount of ore a deposit contains by 10%, if the deposit has less than 1,500 ore in it. These colors only appear if you are not using the Icon zoom-level. Drop Shock Wants You ... Round 2! The 30 minutes can be used however the faction chooses - talking about new features, suggestions, bugs, game-balance, etc. Only the five factions whose members have recruited the most players will recieve these chats and only members of the winning factions can take part in these chats. Each chat will be separate; no chat will run longer than 30 minutes. New Player recruitment will be tracked by referal links, you can obtain a referral link from the Account Settings panel. Players who join Drop Shock from a referral link will be listed in your Account Settings panel. Also, you will now receive an automated email when a player joins the game from your referral link. Automated Facebook posts (created from Account Settings) also contain your referral link, sign-ups from these posts also count towards this competition. Referral banners and information on how to use your referral link can be found here. If your faction wishes to recruit on a site that does not allow referral links, please contact me beforehand and I will ensure that your faction is given credit for any sign-ups which originate from that location. Any cheating by one member of a faction will result in the entire faction be disqualified. Do not sign-up for someone else or have someone sign-up using your computer: this may trigger a multi-account check and suspension of all involved accounts. Periodic totals will be posted as the competition progresses. You are free to use any recruitment method you choose to advertise, promote or otherwise distribute your referal link, provided it does not interfere with any currently running Drop Shock advertising (you will be contacted if this is the case). For example: Adding a Drop Shock referral banner to your image signature on non-Drop Shock forums is a great way to help your faction with recruitment. Note: You are not allowed to pay (or offer to pay) people to create accounts. But you can purchase advertising which contains your referral link (provided it is not on a platform already advertising Drop Shock). First-off, congratulations to all the trivia winners and thank you to everyone who participated! The answers and winners list is posted below (the first correct answer to a question was the winner), winner should check their mailboxes & storage for their prizes. This one is simple if you think your way through it. There are 144 - 2 (BE and Tear) = 142 Mods which can be added to the first Mod-slot. A Mod can only be added once, so this leaves 142 - 1 = 141 Mods which can be added to the second Mod-slot, 142 - 2 = 140 Mods can be added to the third Mod-slot and 142 - 3 = 139 Mods can be added to the forth Mod-slot. Another year is behind us folks and I have to say it's been an exciting one. In early 2010 I committed to making Drop Shock the best massively multiplayer turn-based strategy game on the planet and that's a promise I'd like each of you to be able to hold me to. On the current state of the game I'm happy to report that a new advertising campaign has been launched which is providing excellent results. We also have an expansion right around the corner which will add new units, mods, buildings and play-mechanics to the game (but nothing as radical as stealth ... I swear!). So, to celebrate our 5th birthday, I offer the following trivia competition. Please email me (in-game) your answers by noon tomorrow. Closest answer to each question wins, title your email "Trivial Answers", one email per-person, you can only win once. Winners will be announced after all answers have been received. Each winner will receive one random Elite Power-up and a commemorative crew. Good luck! Chat Images & Free Arenas! Several changes have been made to how Arenas function: First, all Arena durations have been increased by 10 turns. Second, the lowest duration Arena (30 turns) can now be requisitioned for free (as-in Free! ), however only two free Arenas can be active at one time. Lastly, free Arenas cannot have a password. You can now add your own Chat Images (emoticons) to the game. To do this, click on Chat Images from the main page once you login. From there you will be able to choose your image and add a name which will identify it. Once uploaded a Chat Image can be used by any player in the game. There is a 1 TerraBuck fee to add a Chat Image. Offensive or inappropriate images will be removed. Chat Images must be in GIF format, no bigger than 15x15 pixels and no larger than 1k in size. Chat Images can be animated. After much consideration some tweaks are being made to small faction advantages. The original (and unchanged) intent of these bonuses is to level the playing field between smaller factions and larger ones by providing a small bonus which allows smaller factions to counter the larger number of units a larger faction can deploy. These advantages were not designed to be a boost to larger factions seeking to min-max their advantages by lowering the number of players in their factions. The current small faction advantages have also been amplified through the use of smaller but extremely active factions making strategic alliances with other similarly minded smaller factions. Many advantages for smaller factions are being left in-place and the member limit is not being changed. Additional tweaks will be made as they are needed, further discussion of these changes can be done here. Welcome to the launch of Drop Shock. Drop Shock represents an evolution of the massively multiplayer turn-based strategy game, playable from almost anywhere with a web browser. The previous version, TinyWarz, has given us all an incredible ride up-to this point, but it is not longer a fitting representaton of either the vision of this game or what it offers players. The launch of Drop Shock has also been accompanied by a server update to a much more powerful machine ... this is combined with the upgrade which recently doubled the server's RAM. Construction requirements have been reverted from needing 20 Construx for 50% efficiency (50 for Buildings) back to requiring 10 Construx for 50% efficiency. This change was previously made to increase Ore requirements for these items to better match the rate at which Ore was gathered. Instead, a different approach will be used to address this issue. Aldus - Will function as it has in the past. 1.5fp every two turns, 5 bonus faction points every five turns if the Queen is active. Faction Points are paid as they are earned. Aldus has always been about trying to survive the Sha'Kahr, this keeps that dynamic and provides a safer environment (vs other players) for smaller factions to collect fp. Zedus - Big changes here. The Beacon now adds 2fp (increased from 1fp) per turn to a winner-take-all pool. The faction controlling the Beacon at Horizon receives all Faction Points generated by the Beacon during orbit. Factions with less than 200,000fp will receive a double payout from this pool. Note that Zedus is a fairly small planet (only 4x4 Quadrants which is 12x12 sectors or 120x120 squares) so if your faction wants to "steal the bacon" (Beacon) from another faction you'll be able to get into a fight pretty quickly. This planet is designed for more established faction who can fight over larger Faction Point totals, with an incentive for small or medium-sized factions to join in for a big pay-off. This also creates real differentiation between the planets and gives each something unique to offer. Faction leaders - Email me in-game to arrange your discussion time and custom named crews.